So I loaded it up on a VM with Windows 3.1 and quickly found out why: While it produces win32 exe’s they are built with pre-release tools, and will *NOT* work under any released version of Windows NT, (Yes, including Windows NT 3.1!!). Microsoft had a fix, named beta2fix. It renamed the references to ntdll.dll into beta2.dll. Which sounds fun, except the resulting exe’s DONT WORK. Nothing like a ‘solution’ that took missing references into exe’s that just crash. Naturally the ‘fix’ is to upgrade to 4.0 which.. is impossible to find, or track down Compaq fortran, or even Intel fortran. Or just run it in a MS-DOS/Windows 3.1 VM and be happy for emulation. But I figured what the hell, perhaps it’s possible to replace some of the key parts with old versions of Visual C++ and use HX DOS as an extender instead of an ancient Phar Lap TNT. Googling around, the issue lies with the linker, link32.exe. Now on my Visual C++ 1.0 cd there is a link32.exe that just calls link.exe. On the Visual C++ 2.0 & 4.0 CD’s there is no link32.exe. Seeing that Visual C++ 1.0 just calls through I just made a ‘stub’ program to call link. Ok so now with our ‘link32.exe’ replacement, copy it into the f32\bin directory overwriting the existing one. Next we will need the link.exe from Visual C++ 2.0 (or higher I figure), and copy that into the f32\bin directory, along with it’s needed files dbi.dll & msvcrt20.dll. Next, download and unzip the HX runtime And you can either place it’s bin directory onto the fl32\bin, or unzip it to it’s own directory, and add a statement in your autoexec.bat adding it’s bin directory to the path. And now you should be able to run link.exe under MS-DOS. Finally replace the libc.lib & kernel32.lib with ones from your Visual C++. Naturally these are in the \f32\lib directory. Visual C++ 2.0 will link without complaining, 4.0 gives some weird messages, but it still works. I never did test Visual C++ 6.0 & beyond. Ok, so with all this work, we’ve managed to restore the basic functionality of Microsoft Fortran here. Now the bigger question, will hello.exe run on say Windows Vista x64? The exe works fine on Vista, and pestub will allow it to run on MS-DOS. 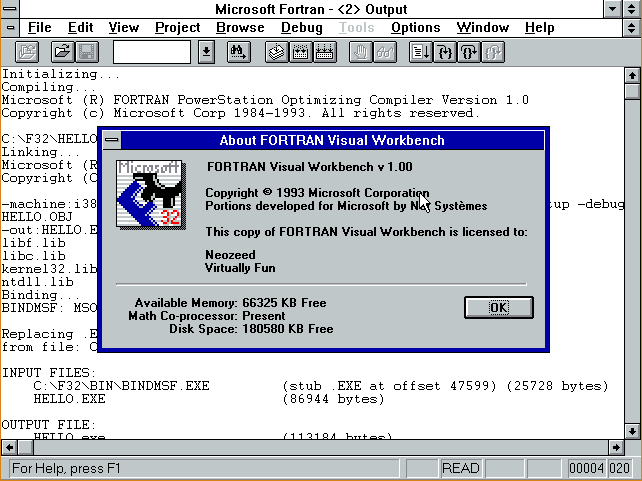 *NOTE that the fortran compiler will *NOT* run on Vista/XP/NT. The compiler was also linked with bad libraries & linker and it just won’t work. I doubt forcedos would help for 32bit NT systems as the phar lap stuff is all out of date. However DOSBox will happy run the compiler. I haven’t even tried to debug anything, as I figure the best environment would have been a virgin copy of PowerStation 1.0 running under Windows 1.0… I did say keep a copy right!!! I don’t know why I even started down this path, but anyways I felt the urge today to break out some Fortran. The problem is that I acquired Microsoft Fortran 5.0 in university, however… it’s on 5 1/4” diskettes!!! So that wasn’t going to happen. So I figured there had to be some kind of GNU Fortran compiler, and there is.. G77. However it needs to be tied into a release of GCC. Which sounds great, but I was hoping to build this on a few different platforms, and on my AMD 64 platform it’s GCC 3.3 (SUA), and on my NeXT it’s 2.5.8.. Even in the notes it says you’ll need about 100MB of space to build it, which is also a nice way of saying it’ll take FOREVER. Then I remembered something we used on the RS/6000 because it was more ‘combatable’ then the Microsoft stuff, as it was derived from the first Unix Fortran compilers… f2c. First you’ll need the source, which thankfully is still up on the original site This part is a bit tedious as the source is not in a single easy to get file. You’ll need to get the source from here. Once you’ve downloaded the files, I’d recommend saving them somewhere else.. You don’t want to have to right click like wild to get them… Alternatively I’ll host them all here to save someone all that effort. r.o io.o misc.o error.o mem.o names.o output.o p1output.o pread.o put.o putpcc. All being well, you’ll have a new & exciting f2c executable. I manually just copy the f2c into /usr/local/bin & the f2c.h to /usr/local/include. Next you’ll need the f2c io library. Thankfully this one IS zipped up and it’s available here. Alternatively I’ve got a copy here (better). *NOTE that the ‘official’ version of the lib doesn’t extract to a sub directory… Grr Extract the library source, and again you may need to modify the makefile to suit your compiler (CC/CFLAGS). Then go ahead and make the library. This will take longer then f2c.. Or at least it did on my NeXT. Then I just copied the library libf2c.a into /usr/local/lib then ran ranlib over the library again. Ok now we should be able to build a FORTRAN program. Let’s try something small. I’ve tried to preserve the leading 6 blank spaces. You should be able to copy the above program, and save it as hello.f Now we should be able to translate, compile and run the program! Awesome! Now let’s try something much bigger, say some old Fortran source to the old ‘dungeon’ game, better known as Zork! This source is available all over the place as dungeon-2.5.6.tar.gz, and I’ll provide a link as well here. Download, and extract the files (gzip –dc dungeon-2.5.6.tar.gz|tar –xvf –) and you’ll have your dungeon directory. Building this should be pretty simple, if the above program built and ran without errors. On my SUA (Vista) machine, I had to force the –I/usr/local/include flags to find the f2c.h.. So you may need some tweaking it all depends. Again on my NeXT I changed the CFLAGS to –O0 –pipe. On my Vista SUA I had to specify that CC=gcc. Once done, go ahead and run make. If all went well that should be how the last lines look. We should now have a dungeon executable! So let’s enter the game, shall we? Welcome to Dungeon. This version created 30-AUG-90. So, now we have built the f2c translation package, and managed to build a trivial hello world program, and something a little more complex like Dungeon/Zork. Now I can play with my numerical recipes book with my pseudo Fortran kit. Well I guess we have officially crossed the bridge, where multiple Ghz machines can run scripts that can emulate a 1.8Mhz 6502 in realtime. And frankly the bigger thing to behold is just how FAST Google chrome is at java script. On my Intel Centrino laptop the google benchmark (http://v8.googlecode.com/svn/data/benchmarks/v5/run.html) scores 105 in Internet Explorer 8, while Google Chrome scores 3330. That’s not a typo, Google Chrome is more then 31x faster than IE at executing Java Script. I’ve got to find out where that whole NaCL thing went to, and where it is. But seriously, go check it out! Mario in a browser without flash! Sadly the MIPS64 version still cannot run Windows NT 4.0 … There is only that single built version that can. Also the i386 version seems to crash running Windows NT 4.0… I think I’d stay away from this particular release…. Author neozeedPosted on September 16, 2009 Categories qemuLeave a comment on Qemu 0.11 rc2 released! well I’m no great php coder.. lol but I’ve managed to slap together an extension for wikimedia that launches the terminal! Just as there is HECNet for DECNET, there isn’t anything comperable for NetBIOS… would anyone even be interested in such a thing? I would be trivial to modify the hecnet bridge program to transport netbios… And I’ve done SIMH, I suppose other emulators (qemu) could be modified to talk to a hecnet style bridge with netbios…. Author neozeedPosted on September 7, 2009 Categories Uncategorized3 Comments on I was thinking…. And I must say, it’s an excellent way to make older machines more ‘accessible’ to everyone. I know it’s only going to encourage ‘kids’ to get into VAX’s etc, and of course as many are aware, Vista and beyond have removed the telnet client.. (and hyperterm for that matter!!!). We are now living in a world devoid of telnet & rs232. Flashterm, is one of those fancy GCC for flash projects that uses the flash socket API to create a telnet client! Right now they are focused on ANSI emulation geared towards BBS’s. But if you’ve got a firewall to redirect ports, or if you are running the ‘policy’ server directly you can let people into your machine, and all they need is a modern browser/flash combination which you can safely say all ‘kids’ machines will have (and yes even my parents, as they LOVE those silly flash games, and dancing cats). Although I don’t know how long I’ll keep it online. But it does create the possibility now of having not only information on various ancient UNIX but to allow others to use them!..  And for most internet users, with no real downloads as that flash thing is EVERYWHERE…..
Don't you love days like this? trap type 18 code 0 rip………. And odds are if you may be here for the same thing, as google came up with 0 hits on fatal machine check in supervisor mode. But I’ve got a crash screen to prove it. Now here is a kicker, I found in the bios if you turn off the “Page directory cache”, for “older Linux kernels”, you can complete your install!! 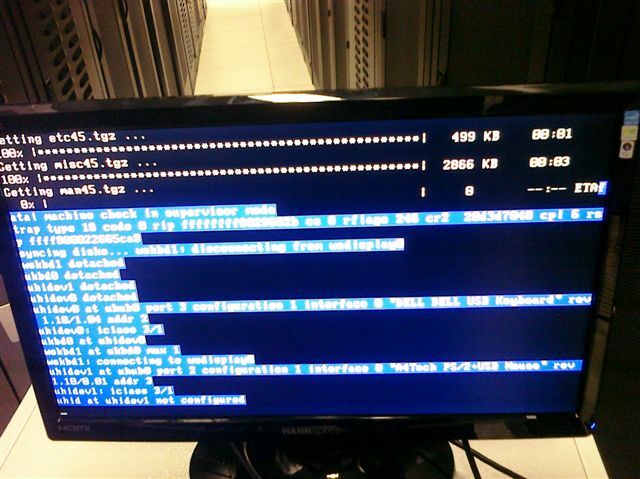 The downside, is that a dmesg causes a kernel fault.